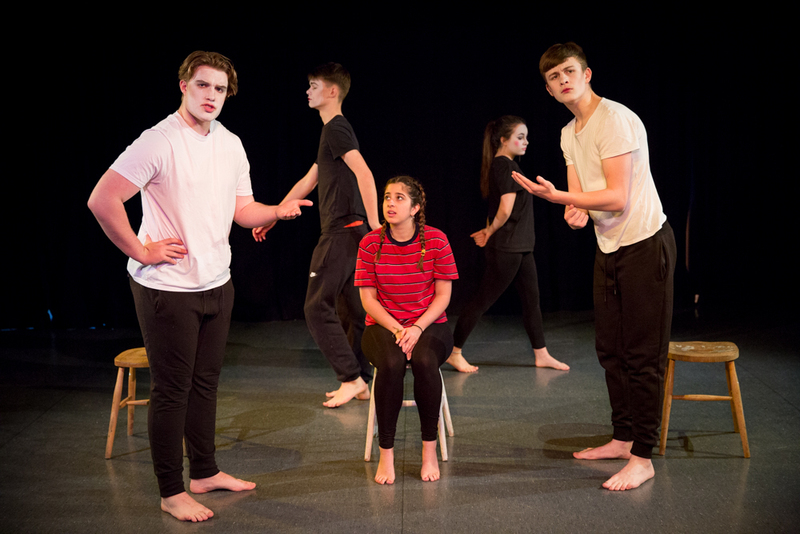 Inspired by Berkoff’s play Metamorphosis, the Lower 6th A level Devised Performance Distortion looked at the controversial issue of body dysmorphia. 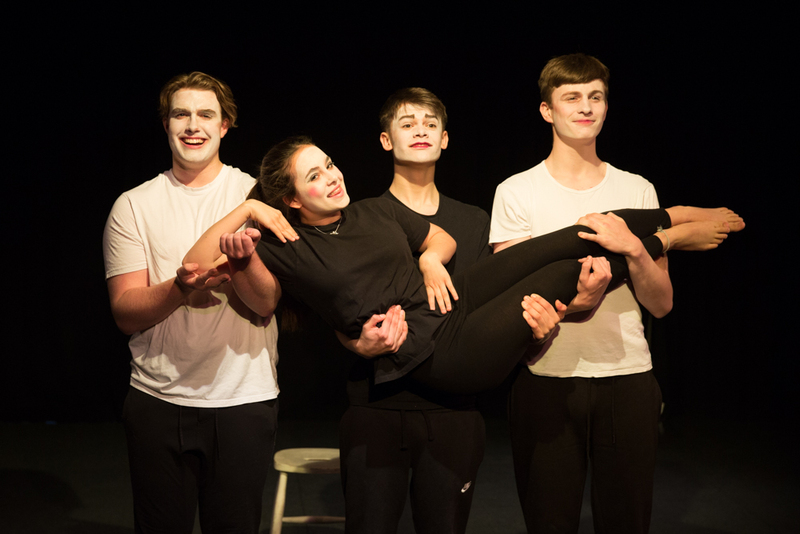 The performance was created by Greta Azzopardi; Edward Moss; Iman Naini; Finn Keelan and Jack Leonard, and centred on the character of Abbie Smith. Influenced by glossy advertising images and desperate to fit the ‘perfect image’ needed to succeed in Media, Abbie seeks the help of the dubious Cosmetic Surgeon, Dr Rajesh…. 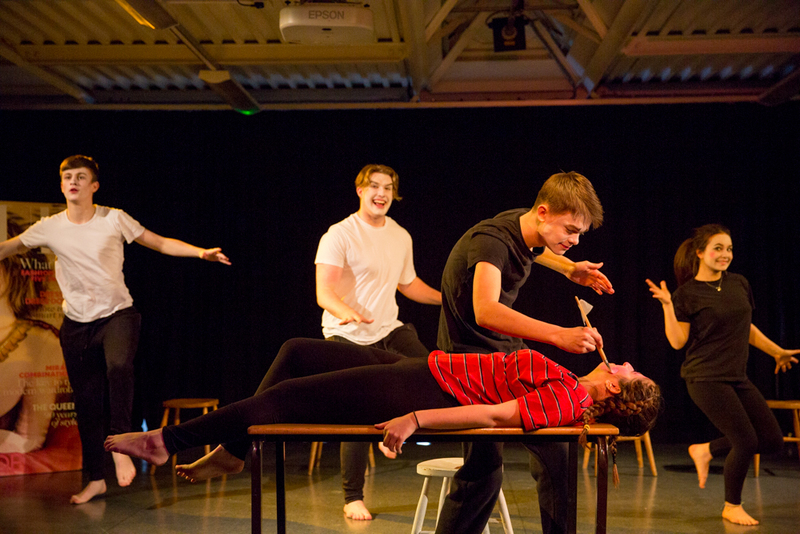 St Benedict's Sixth Form students achieved all of this, and more, in a skilfully executed piece of physical theatre. Steven Berkoff trained at L’ecole Lecoq, where mime is central to his theatre and not as a separate art form. Lecoq explained that he teaches mime as a human action - to rediscover things you do in life and create them in another way. 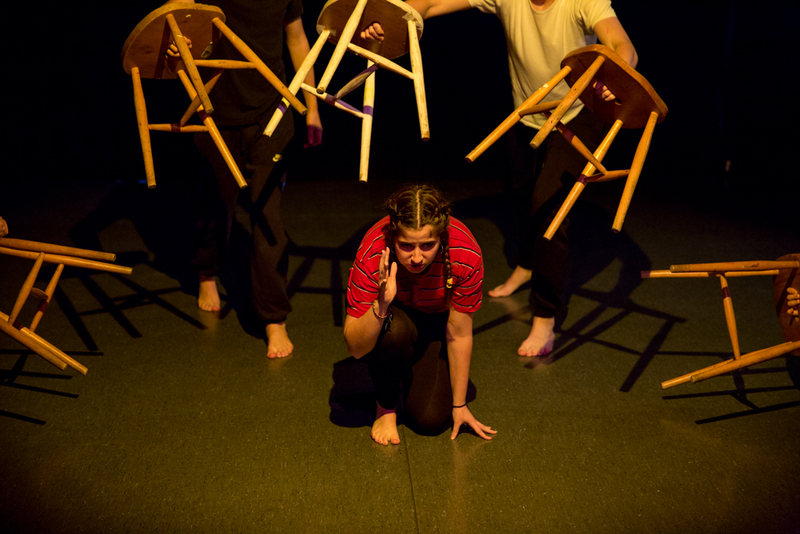 Improvisation comes from memory, whether real or imagined and Berkoff’s concern is with how physically inspired memory is mimed. He believed that expressionism presents everything on the stage from the perspective of an individual character and that vocal, movement and production elements are heightened and distorted to reflect this perspective. There is a strong emphasis on chorus and ensemble work throughout - with moods and ideas being more important than plot. 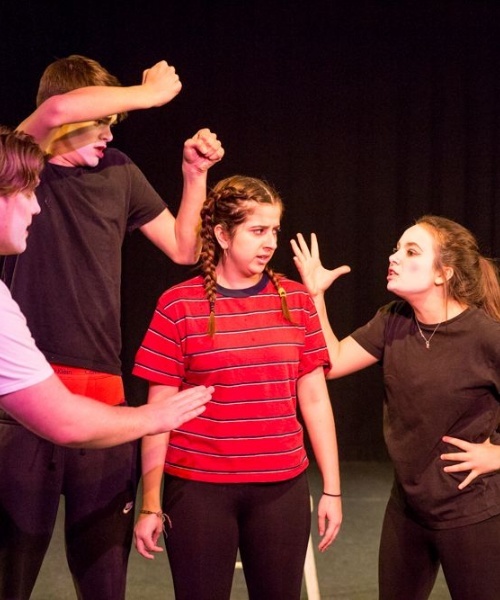 To enhance the devising process we welcomed a workshop from lead physical theatre company, Frantic Assembly who worked closely with the students to push the boundaries when it comes to physicalisation. It is only by taking risks that the students' work has developed to the outstanding level seen at the final performance and is a testimony to their continuing commitment to this subject.